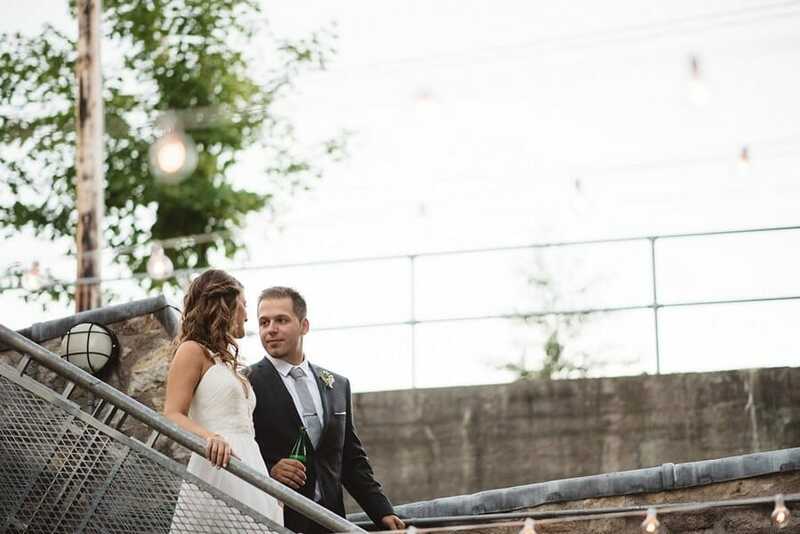 Imagine…a gorgeous summer night, with your significant other, sitting under the glow of a beautifully lit patio, enjoying delicious food and drink…sounds pretty great, right? 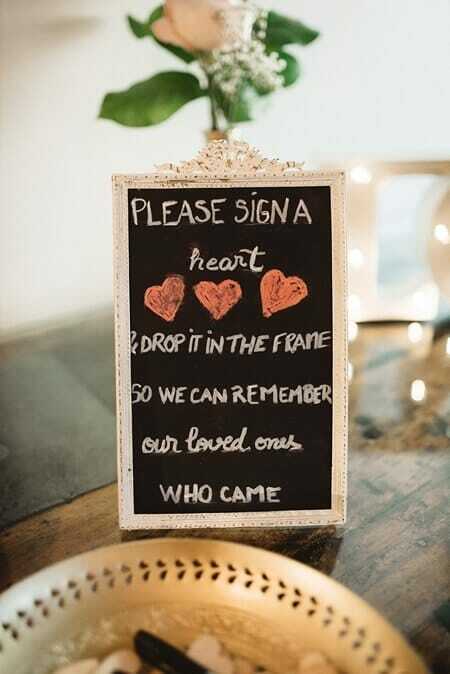 Well, why not recreate that atmosphere for your big day? 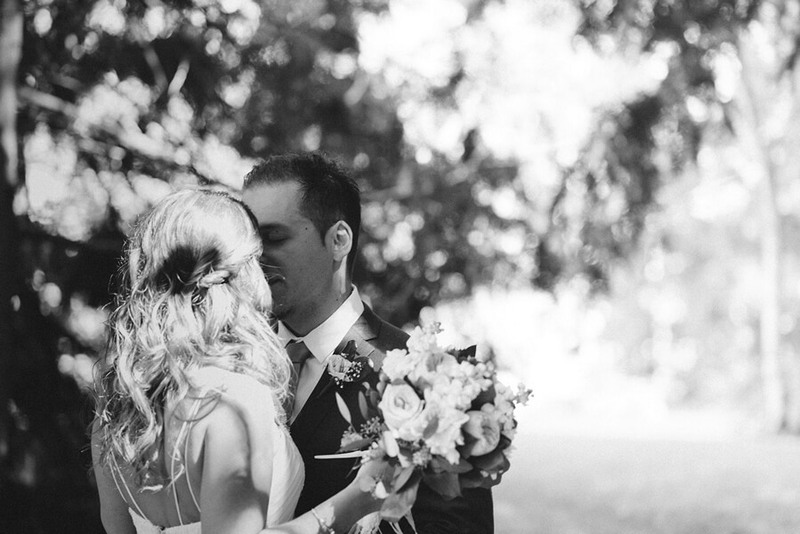 Julia and Josh cherish their summer nights and used that as the theme for their wedding, with stunning results. 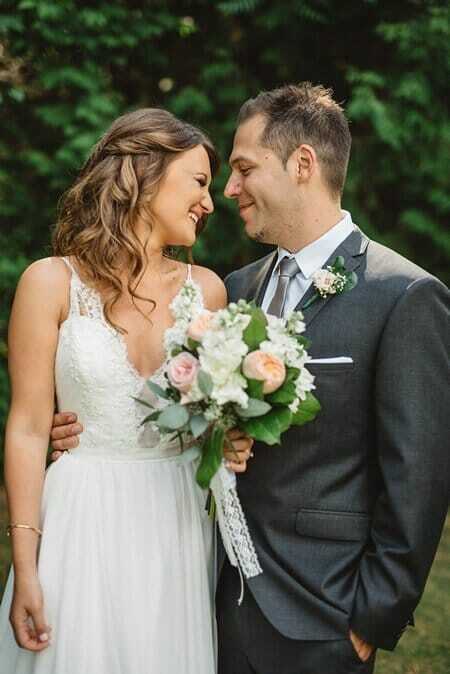 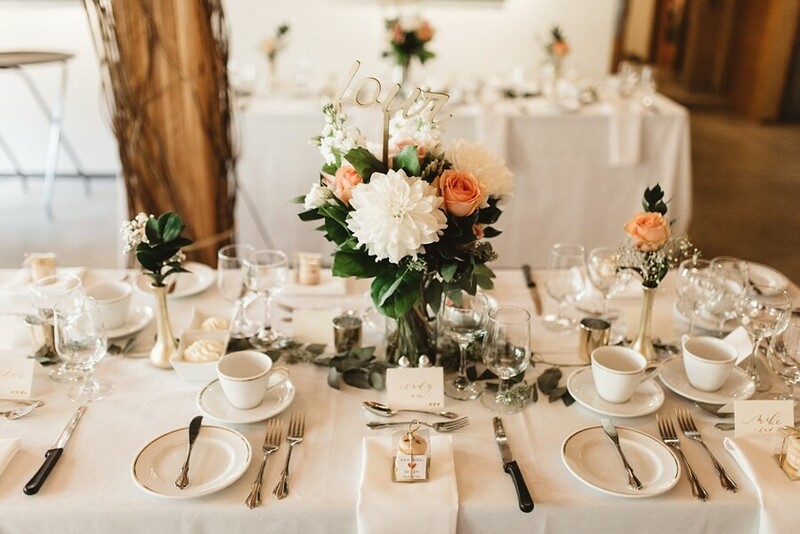 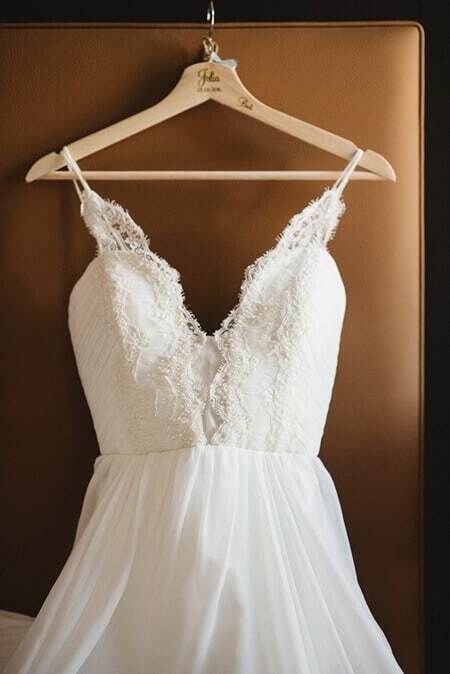 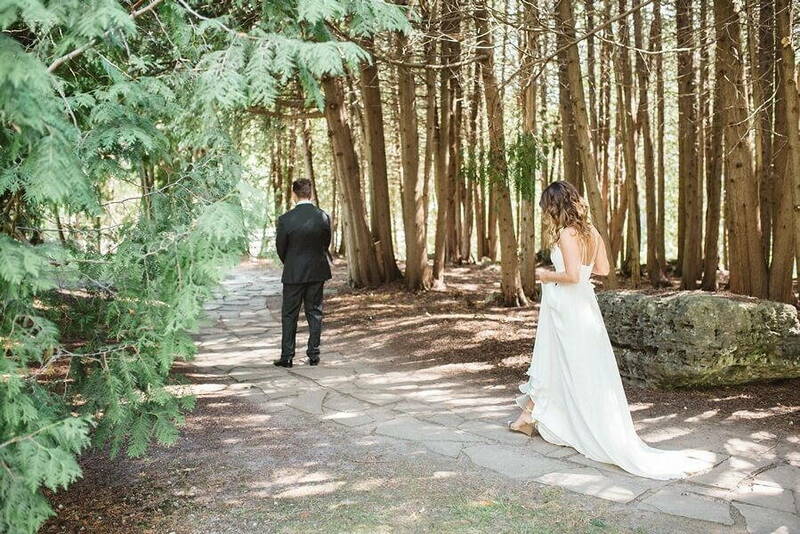 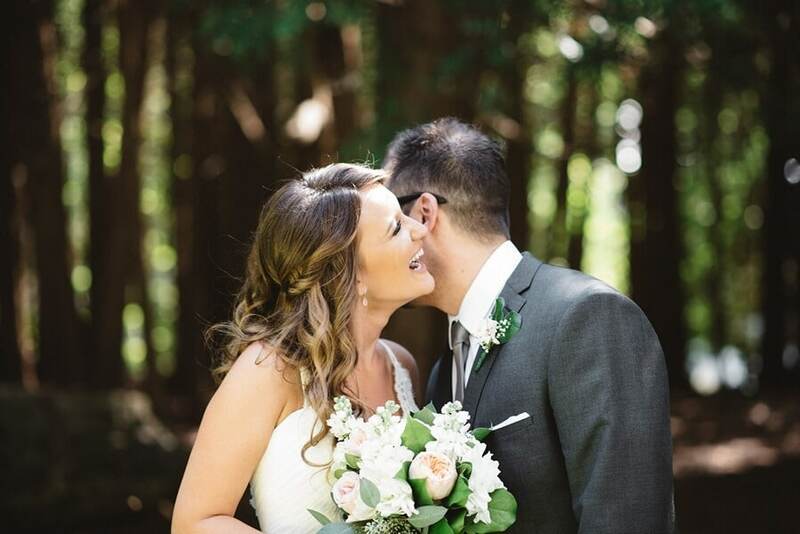 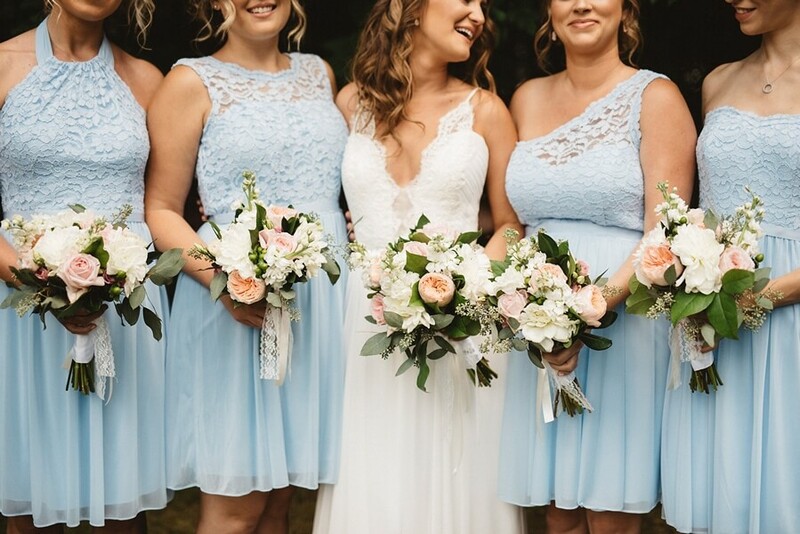 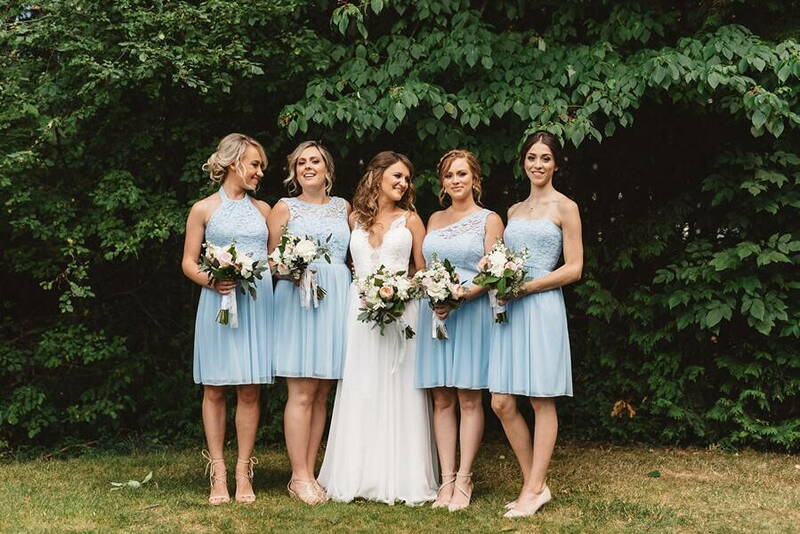 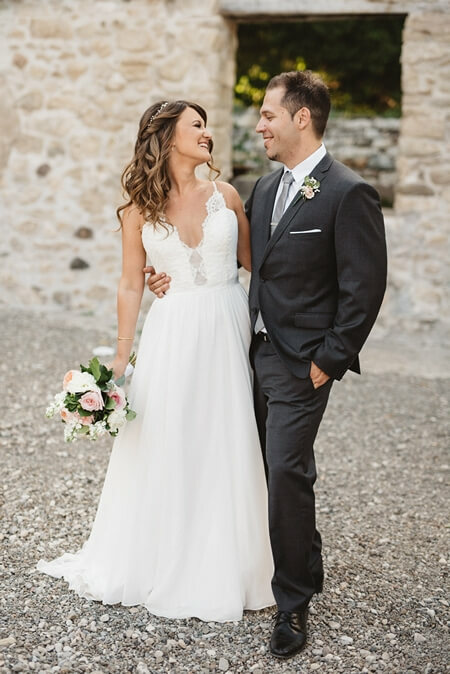 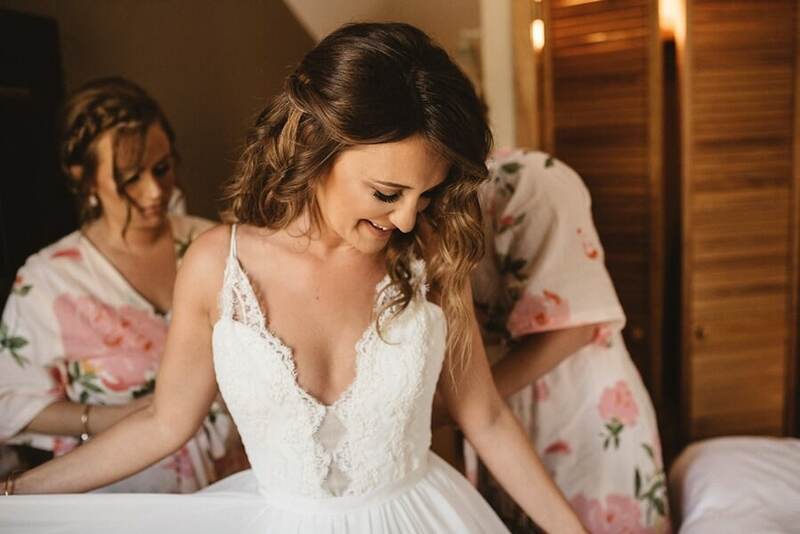 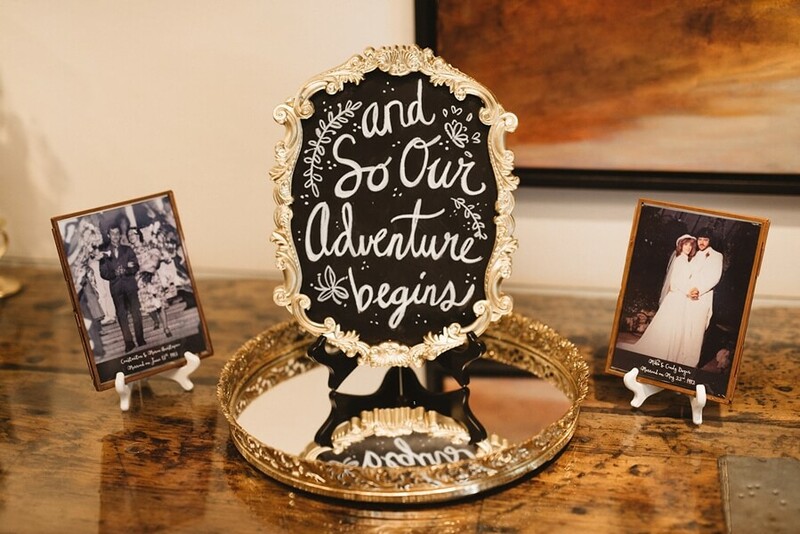 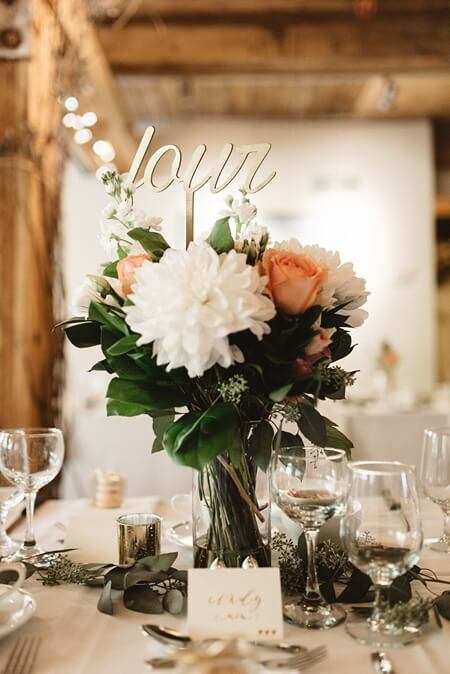 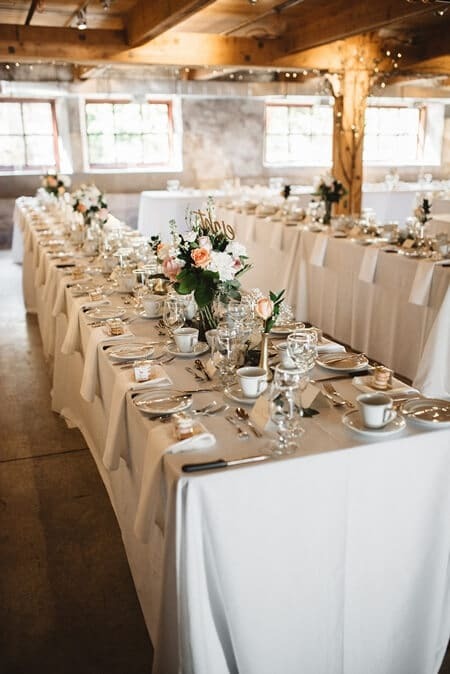 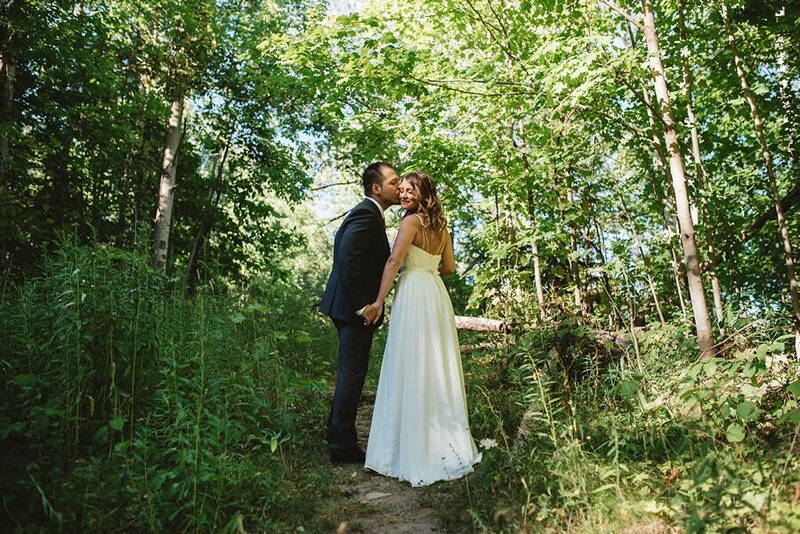 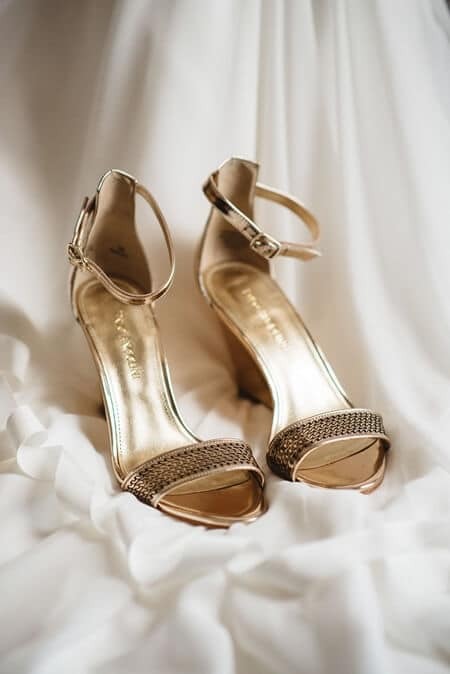 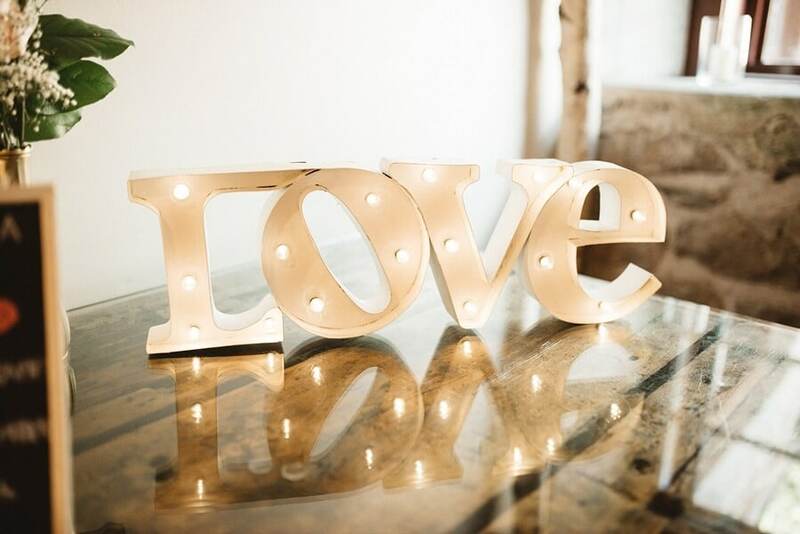 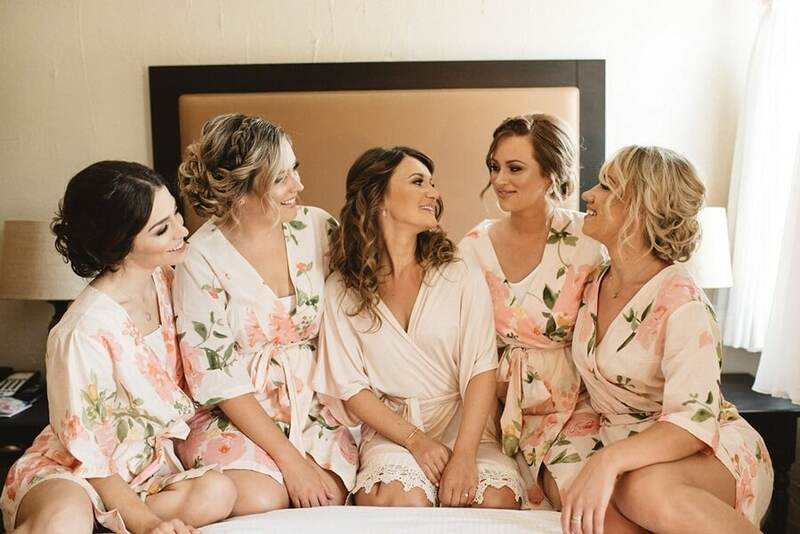 The couple, who met in university, had their big day at the picturesque Alton Mill Arts Centre and asked the talented Olive Photography to capture each memorable moment. 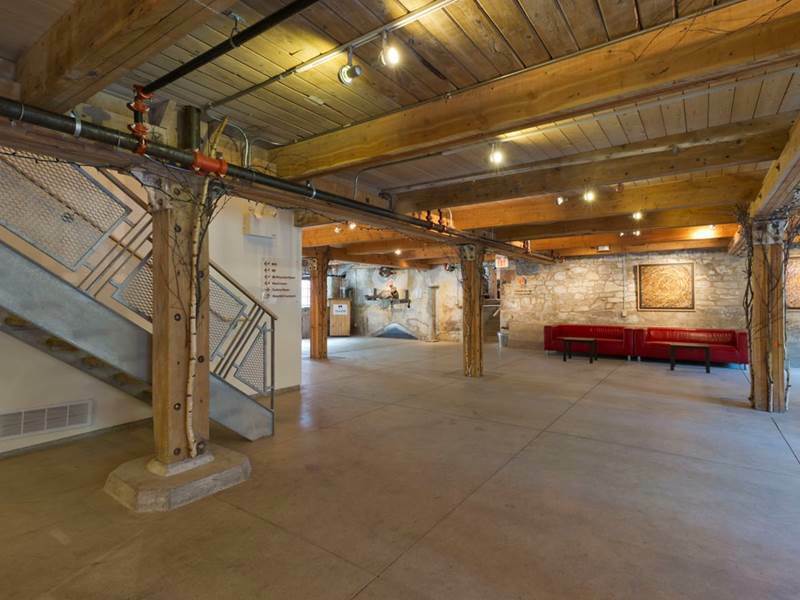 You’ll definitely want to check out this gallery. 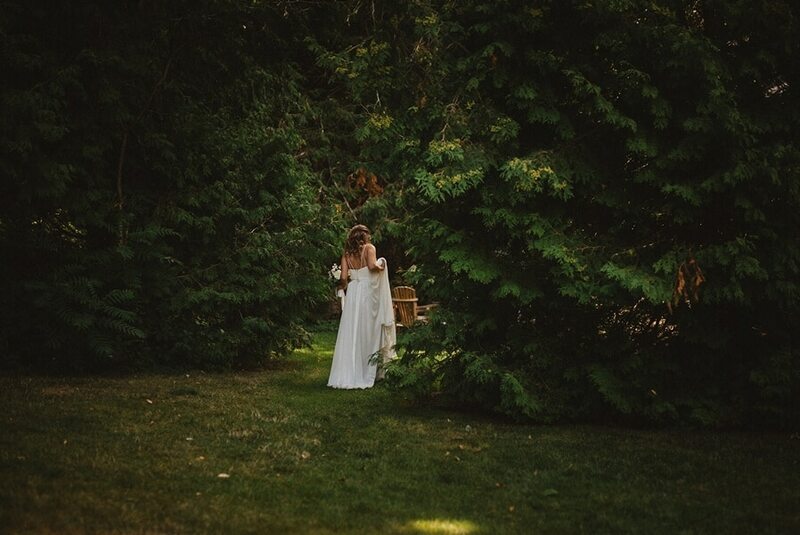 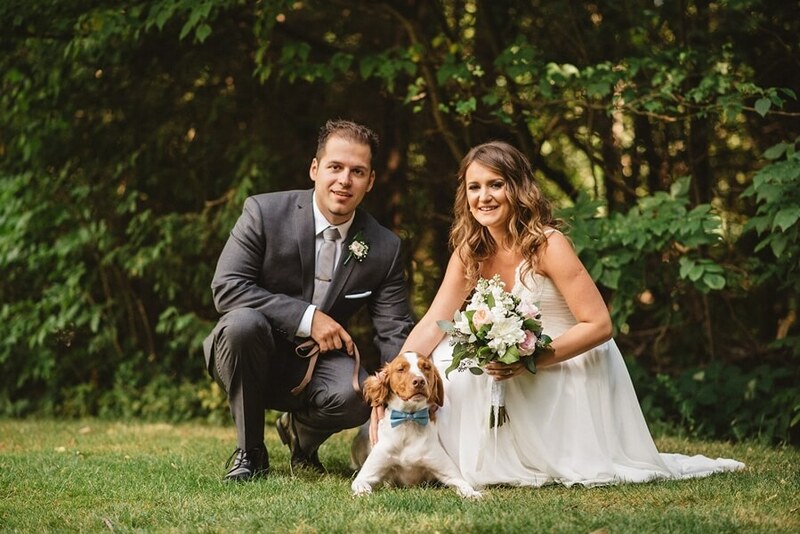 Mother Nature at her finest, complete with tall trees and gorgeous greenery, provided the perfect backdrop for the couple’s first look and romantic photo session (along with a furry friend). 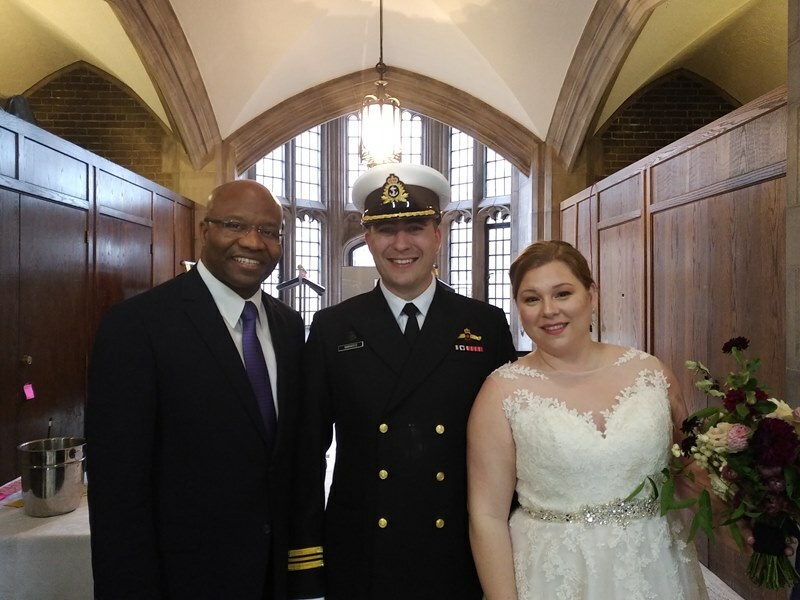 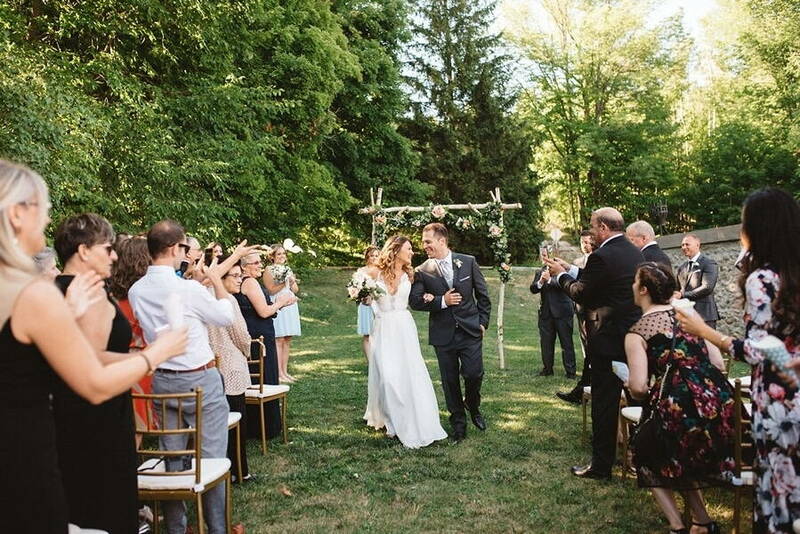 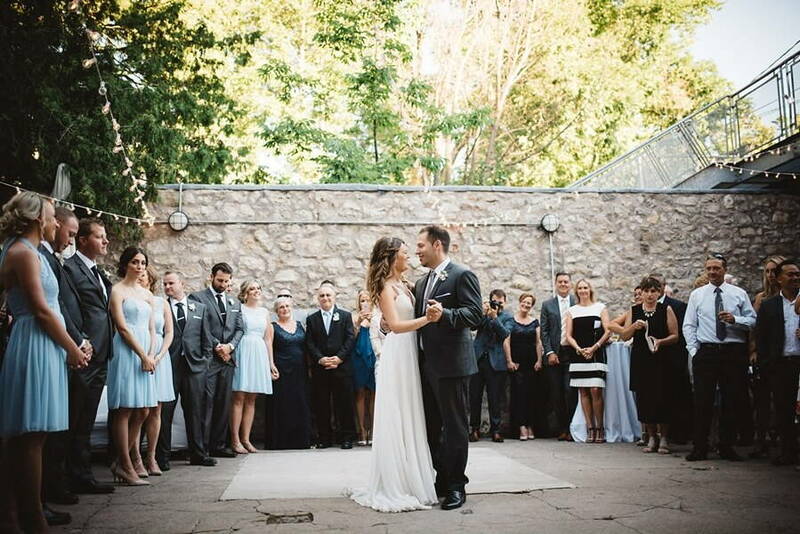 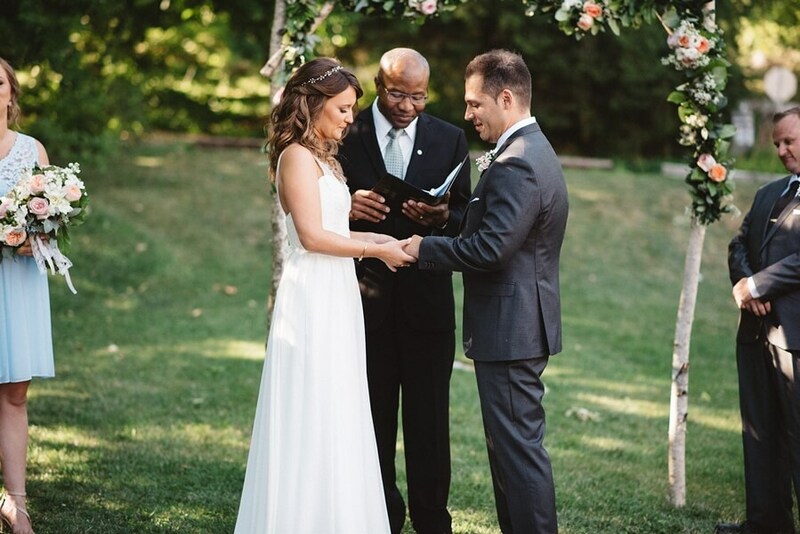 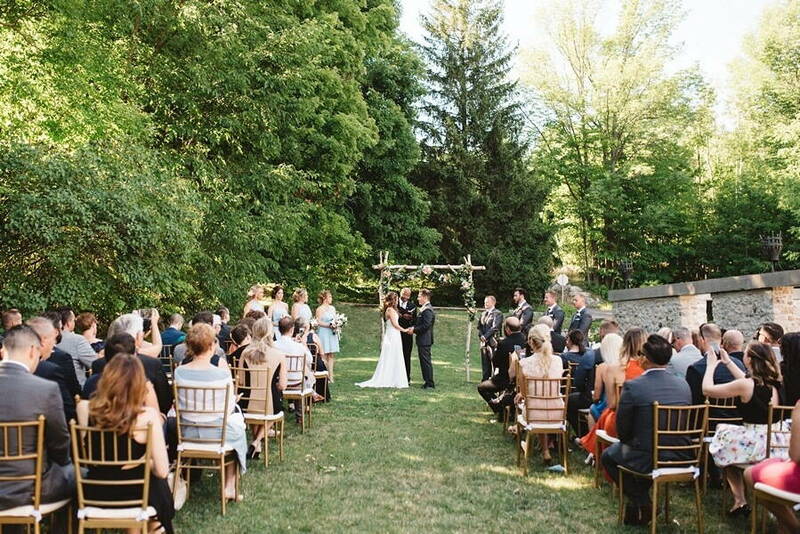 The breathtaking outdoor ceremony involved a beautiful personal note. 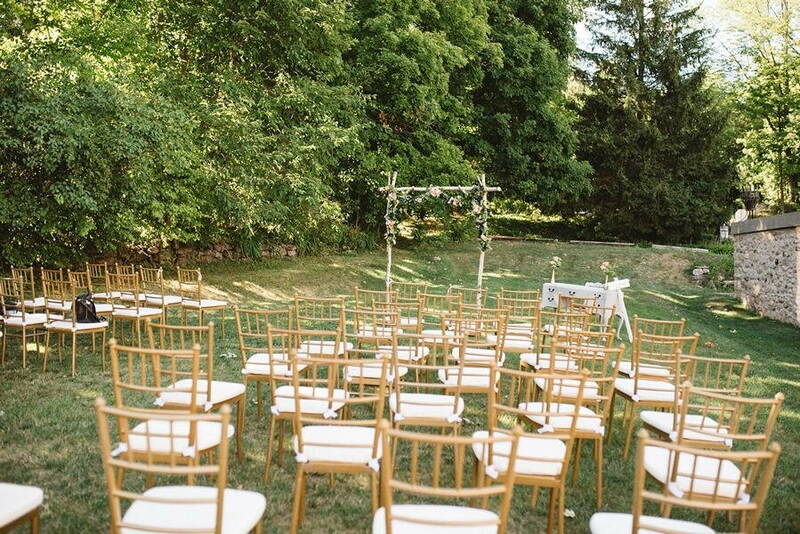 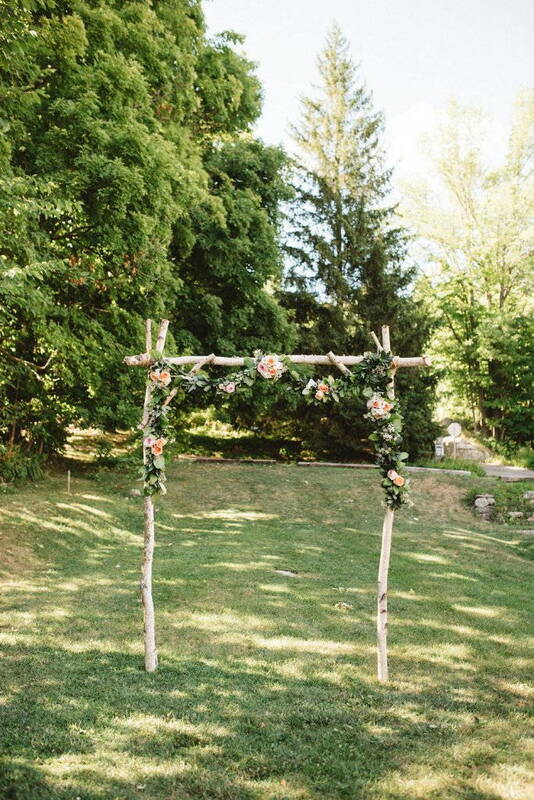 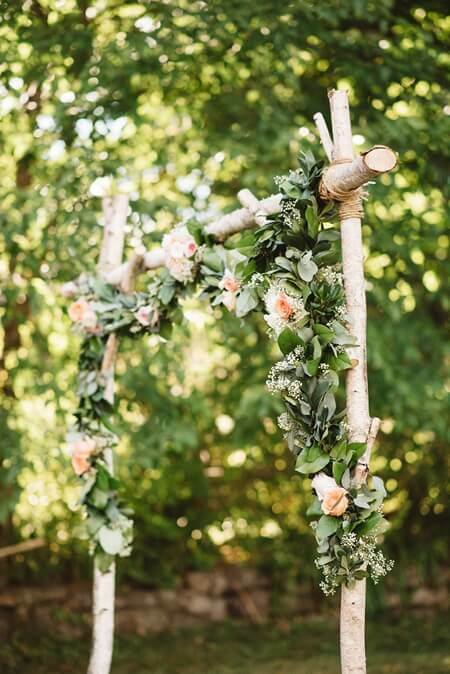 It took place outside on the grass under an arbour that Josh built with birchwood that the couple had picked up during one of their hikes. 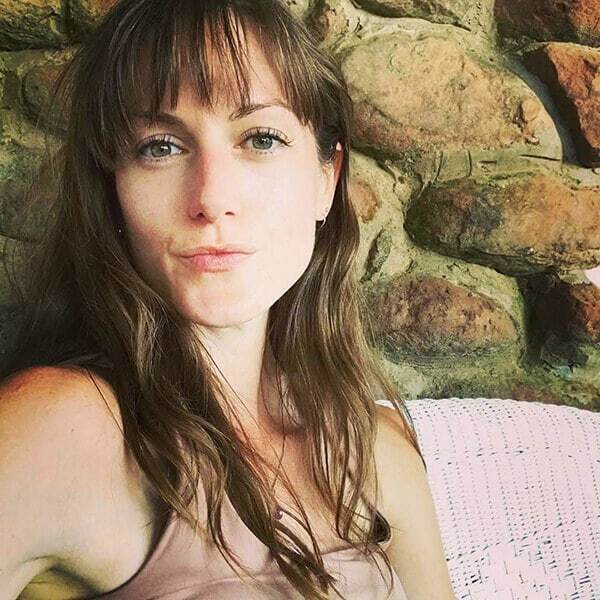 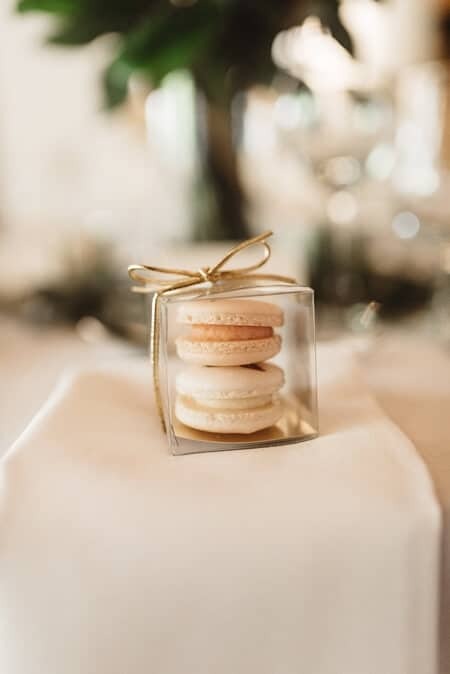 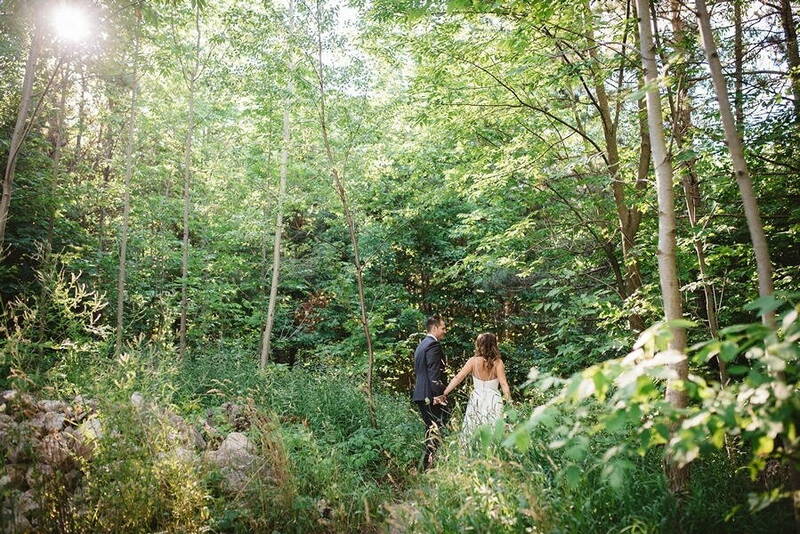 From the Bride: The Alton Mill is a little gem we discovered in Caledon many years ago, and quickly became our favourite place to visit on a Sunday morning for coffee. 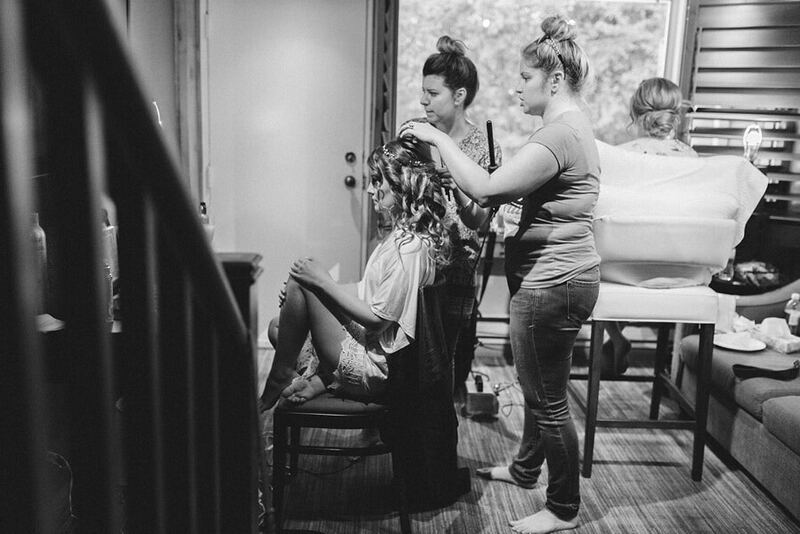 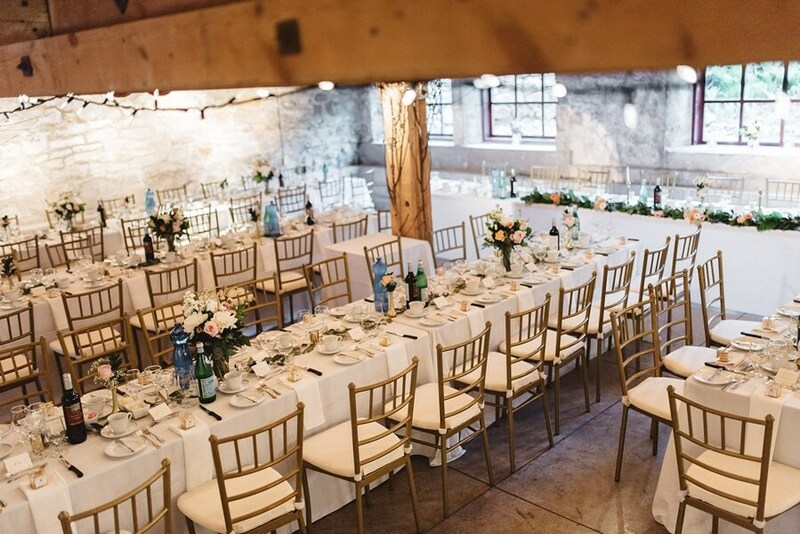 When the time came to plan our wedding, there was no doubt we’d have it at Alton Mill. 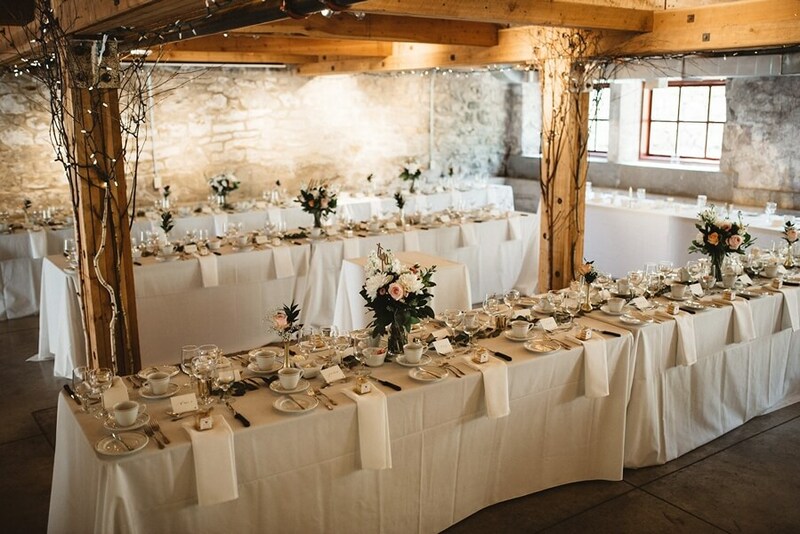 The beautiful outdoors, old stone walls, patio with romantic lights and all the history it has to offer made it the perfect venue. 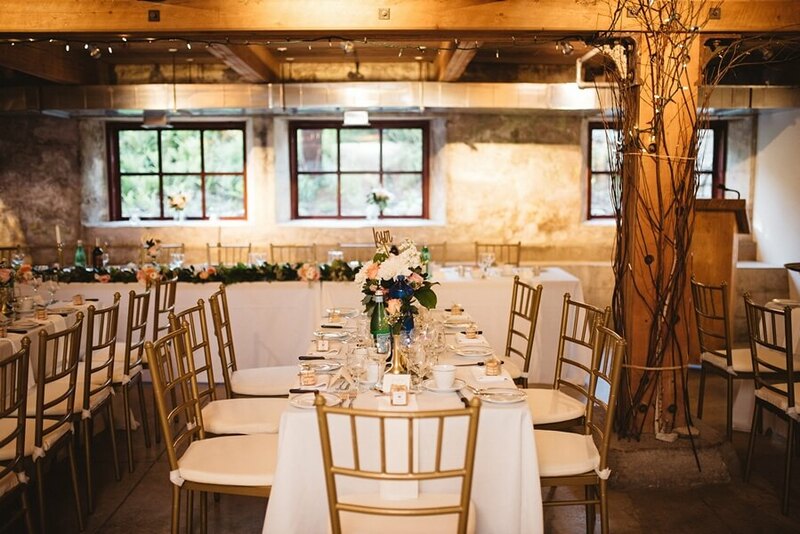 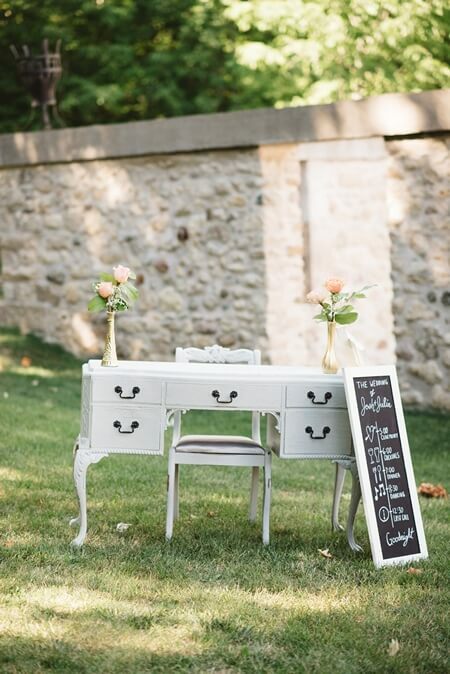 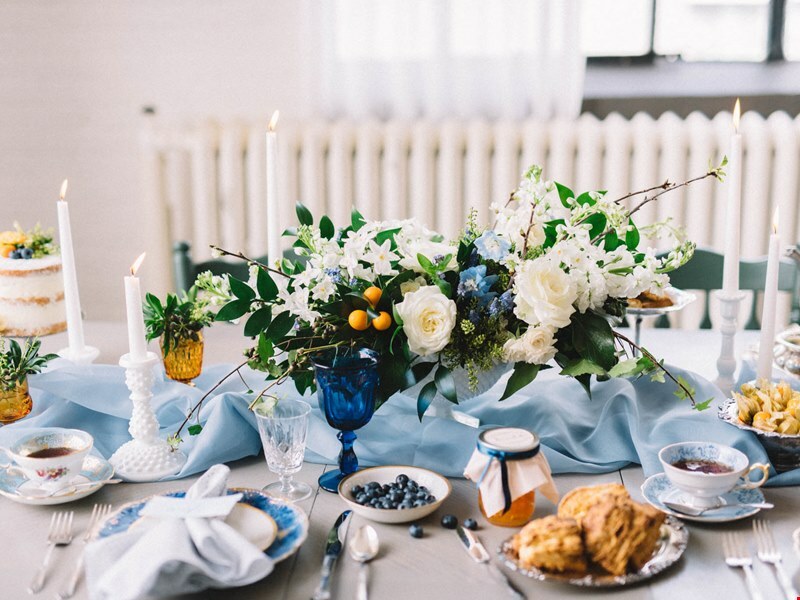 The newlyweds’ reception is the epitome of rustic romance. 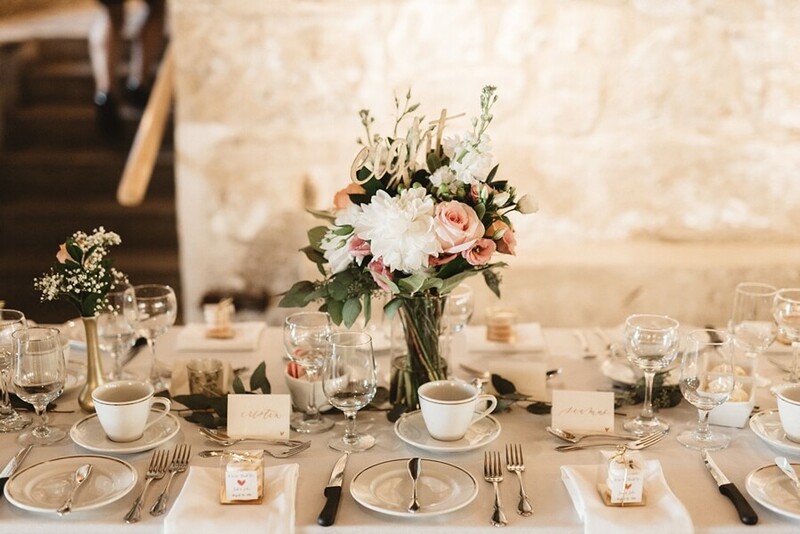 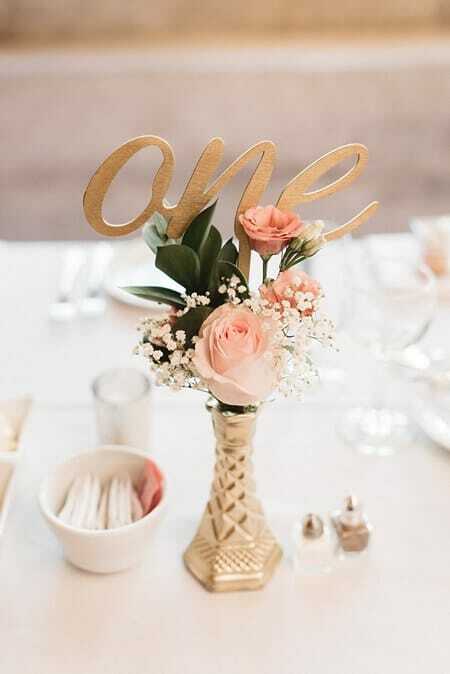 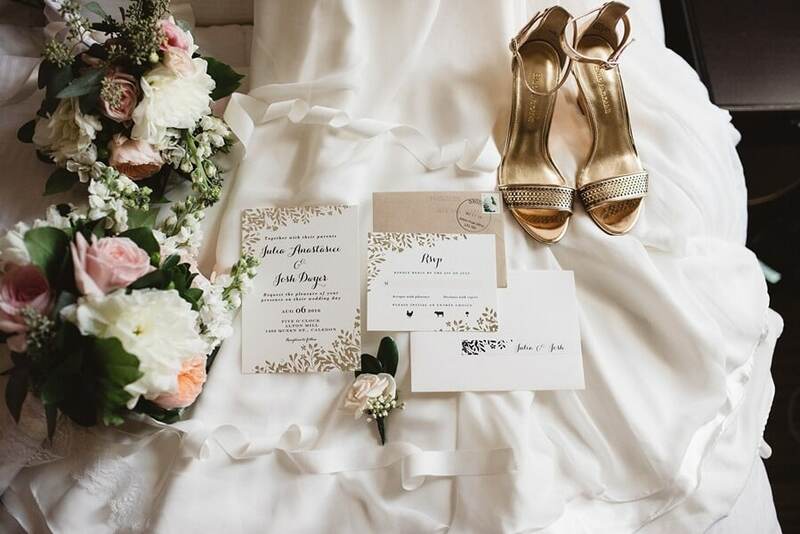 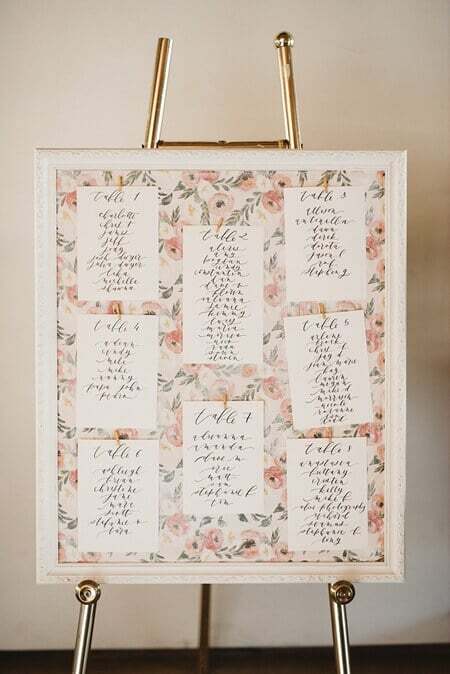 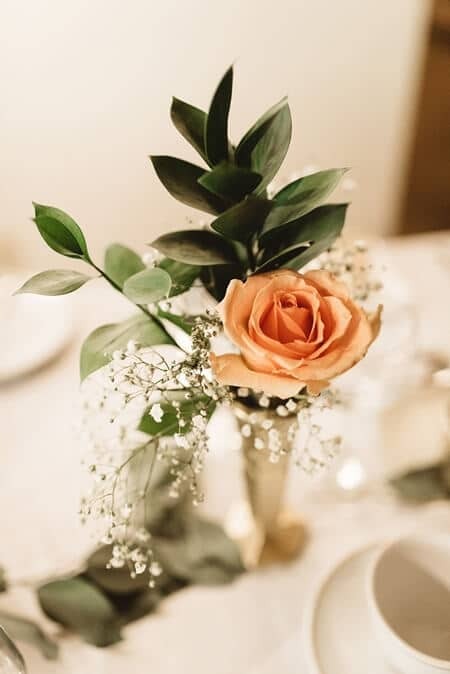 A blush and neutral palette with gold foil stationary, string lights, handwritten notes, and wooden accents captured both the warmth and whimsy of the night. 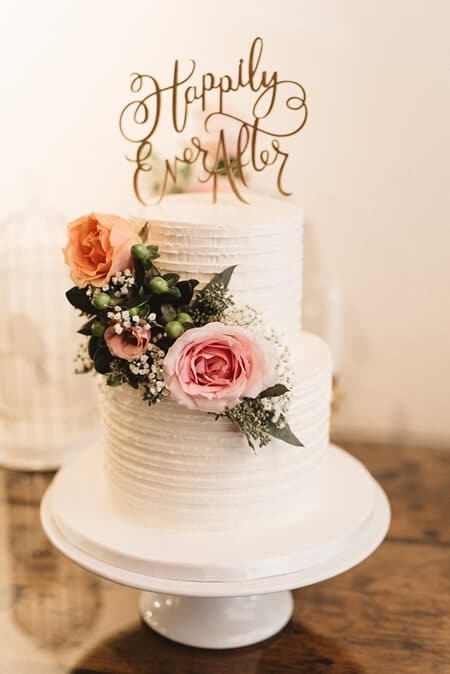 Darling DIY details rounded out the beautiful evening, including lush florals that were done by a friend and the exquisite cakes and favours, which were created by the groom’s mom. 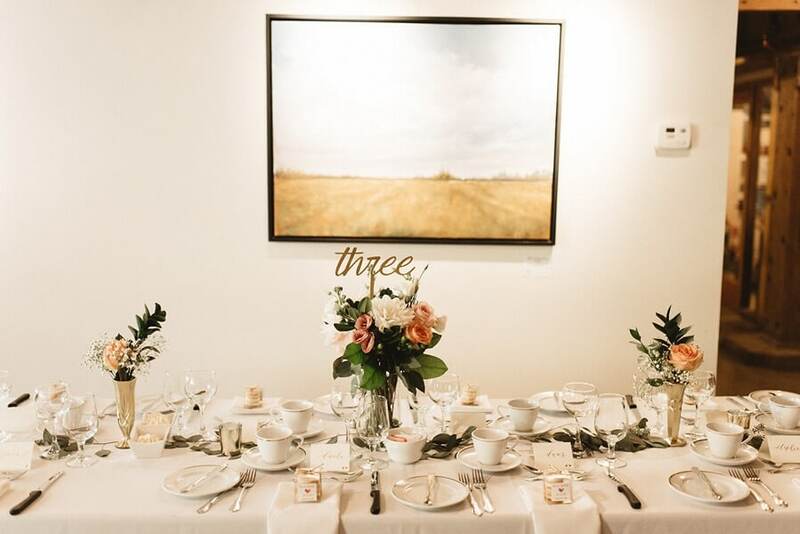 Tk’s Catering, which also helped with planning, served up the delicious fare.